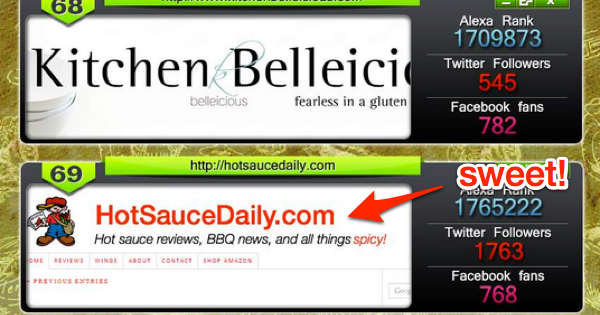 We’re honored to be included in the Top 100 Food Blogs to follow in 2013. Our goal for 2013 is to bring you more recipes and reviews of hot sauce, bbq sauce, rubs and salsas. We’ve enjoyed much success this past year and we’ve made many new friends in the craft sauce business. We appreciate them all for creating the products we love to eat and review! In other food related blog, checkout Best Pet Reviews for the best healthy food available for your pets. Thanks Eyal. Not sure what it’s based on, but what the heck! Nice to be included. Any press is good press, eh?